Yvonne Macrae, Ph.D. (Lesley University, Cambridge, MA) has been an educator for over two decades. Her career started as an Early Childhood educator in Sierra Leone in West Africa. She emigrated to the United States of America and earned an undergraduate degree in Business Administration from Lesley University and a MBA from Simmons College School of Management and worked at various institutions such as Brigham & Women’s Hospital, Boston Children’s Museum and Boston Public Schools. 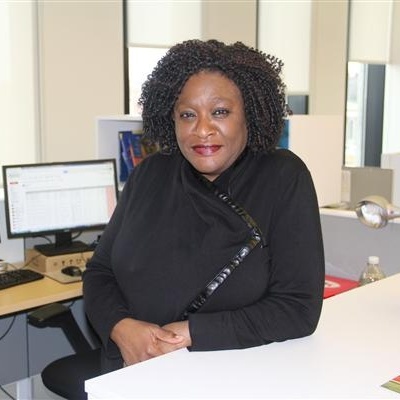 She has also been an adjunct faculty at University of Massachusetts (Boston), Lesley University, and Northeastern University teaching undergraduate and graduate business management and leadership courses. Her Ph.D. work at Lesley University centered around interdisciplinary studies in education. She studied adult learning and development, leadership, program development, multiculturalism and social justice. Because of her experience as an adjunct faculty for the past 15 years and her belief that effective teaching is based on understanding students’ backgrounds and respecting the prior knowledge they bring into the classroom; her dissertation focused on understanding the experiences of adjunct faculty in reaching the new diverse population of students in higher education. She is now using strategies discovered from this research study in reflecting and on her own teaching practice. Her current interests are in international business development; global management issues; leadership; ethics; social justice; organizational behavior in different cultures; instructional pedagogy in higher education; higher education administration and K-12 school finance and administration.